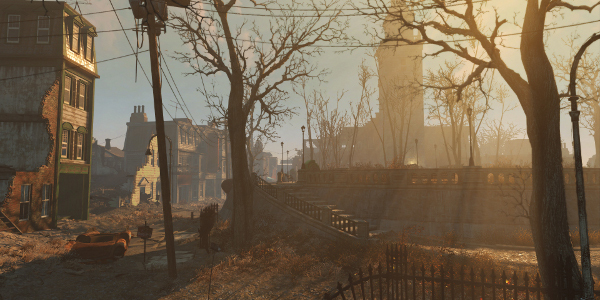 Fallout 4 is the first new game in the series in five years. After such a long wait, it's possible you've forgotten a few key details of the storyline. We're here to help, though. Here's a brief recap of some of the key elements from the series. "The Great War" was the most devastating conflict the world has ever seen. It was also the shortest. Several nations of the world launched their nuclear missiles at each other over the span of two hours. This nuclear shootout seems to have stemmed from Resources War, a two-decade-long conflict over the world's dwindling resources. It's unclear who launched the first missile but maybe it didn't matter. The end result was that most of the world's population was wiped out. The nuclear blasts reshaped the world. They wiped out most plant life and animal life, turning lush wilderness into barren wasteland. Bodies of water were forever contaminated by fallout. The animals that did survive were grossly mutated. A small percentage of the world's population managed to survive by taking shelter underground. These remnants of humanity emerged after the bombs stopped dropping to form rudimentary settlements. The Vault-Tec Corporation was commissioned to create 122 Vaults across the United States. These underground facilities were intended to shelter their inhabitants from a nuclear war. Still, these Vaults only held up to a thousand people and many were closed before they hit their maximum capacity so very few Americans were able to ride out the war inside their heavily armored walls. Each Vault was designed to stay sealed for a different amount of time. For example, Vault 8 in Fallout 2 opened just 10 years after the Great War so its inhabitants could help restart the surface civilization. Vault 111, however, doesn't open until 200 years after it closes. An optimist might think that the Vaults' openings were staggered like this to improve humanity's chances at survival. After all, who could really say what year it would be safe to recolonize the nuclear wasteland? The truth is, though, some of these Vaults weren't meant merely as shelter. They were elaborate government experiments designed to see how humans would function under extreme conditions. 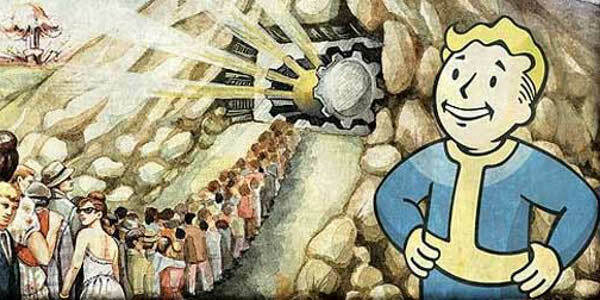 Vault 12's door was designed not to close in order so that the government could find out the effects of radiation on a population. The result was that Vault 12's dwellers were turned into ghouls. Vault 92's inhabitants were subjected to subliminal messages that coaxed them into violent outbursts. While each Vault was different from the next, all are considered very valuable. They're easily defensible structures and often loaded with supplies. While some Vault Dwellers still live in them even after they've opened, others have been taken over by bandits or other undesirable factions. The Commonwealth is the post-apocalyptic remains of Massachusetts. Like the rest of the United States, it's a shadow of what it once was. However, it was hit by nuclear weapons after many other parts of the country so its inhabitants had more warning of the incoming bombardment. This likely means that more of them reached safe shelter before the bombs hit. While the Commonwealth might be more populated than other parts of the country, that doesn't mean life is any easier. They still have to contend with mutants, raiders, slavers and other dangers. Plus, the lack of a true government anymore means that there are various factions battling for control. The Commonwealth Institute of Technology was a renowned university that survived the Great War thanks to their underground facilities. These great minds continued their work even after the bombs dropped. Their biggest breakthrough was the development of androids, or "synths," that looked and acted like humans. While the Commonwealth regarded these synths as merely slave labor, their creations yearned to be free. A sympathetic group of humans known as the Railroad helps them escape from their bonds. They're opposed by the Synth Retention Bureau, a group devoted to recapturing these androids by any means necessary. 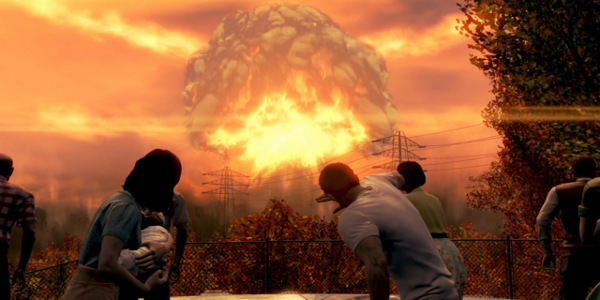 In Fallout 3, players encountered Retention Bureau agents that had chased an android all the way to the Washington D.C. area. In any conflict, though, the Commonwealth has a clear advantage. They have access to technology that most wasteland dwellers can dream of. This will make them a considerable foe for any player. There aren't many forces for good in the post-apocalyptic United States. 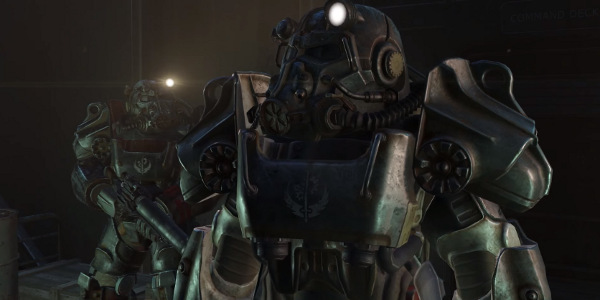 The Brotherhood of Steel, a knightly order formed by ex-military members, is one of them. The group is committed to protecting mankind from mutants and preserving pre-war technology. Some Brotherhood members are more helpful than others, though. There are some that seem to value the preservation of the Brotherhood and their collection of technology above all else. Some refuse to trade technology with outsiders. 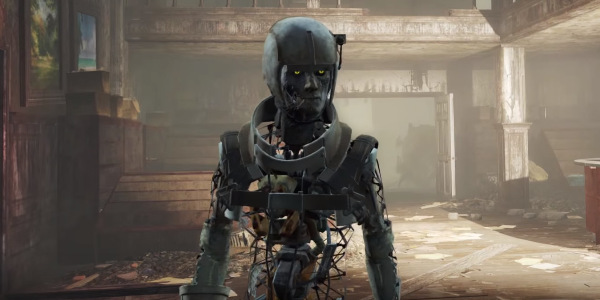 The launch trailer for Fallout 4 revealed that the Brotherhood will be opposing the Institute in the Commonwealth. One Knight in the trailer called the Institute a "malignant growth" that needs to be cut out. We'll see whether the Brotherhood is truly concerned about saving the Commonwealth or just covets the technology of the Institute.